Special needs trusts are an important tool in an elder care attorney’s toolbox. Established correctly, SNTs allow a person to qualify for public benefits such as Medicaid or SSI while maintaining assets in a trust to supplement the funds provided by such programs. First-party SNTs are established with funds that belong to the beneficiary. By placing the assets into a first-party SNT, the beneficiary can reduce his or her resource level to below the $2,000 required by Medicaid and SSI to qualify for benefits. Unlike SNTs established with third-party funds, a first-party SNT will include a government payback provision. Often, competent adults who have a physical injury or disease will want to establish first-party SNTs, with the appropriate government lien, for themselves. Since the Omnibus Budget Reconciliation Act of 1993, it has been a legal requirement that first-party special needs trusts be established by a parent, grandparent, guardian or court. This requirement has caused some issue for competent disabled adults who wish to establish their own trusts, and it is in direct conflict with the pooled trust. Pooled trusts, which are special needs trusts run by a non-profit third party for a pool of beneficiaries who place their own funds in the trust, were permitted by Congress in 1993 as well. Because of these issues, the Special Needs Trust Fairness Act was resubmitted to Congress in 2015 asking for a law allowing competent disabled adults to establish first-party SNTs for themselves. Currently, the act has passed the Senate and is now under consideration by the House Committee on Energy and Commerce. As an issue of policy, it is highly likely the bill will pass a vote in the full House as well. Passing this bill will free up court time and resources and cut down on unnecessary costs for disabled adults. It will also offer us, as elder care attorneys, another option to provide clients who are receiving benefits and who inherit or are awarded a lump sum of money over $2,000. Imagine the convenience to our disabled clients of establishing their own trusts, picking their own trustees and having funds readily available for the remainder of their lifetimes to supplement their SSI benefits without the necessity of court intervention. You can follow the progress of the bill on Congress.gov or contact your own representative to establish your support as an elder care professional by referencing H.R.670 - Special Needs Trust Fairness Act of 2015. 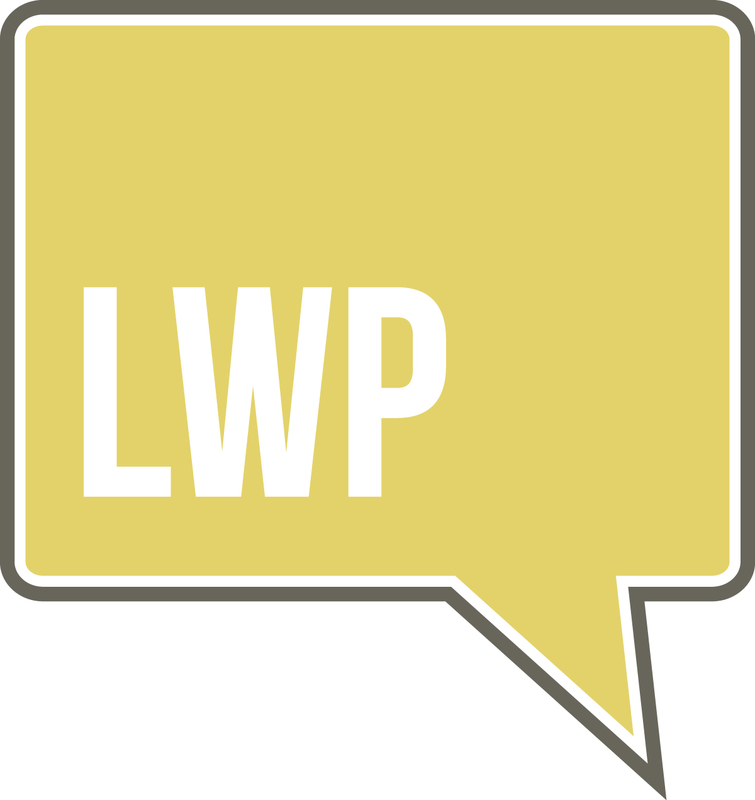 We will keep you updated at LWP as the bill continues to move forward becoming law and providing an exciting new opportunity for our clients! If you would like to learn more about our Client Centered Software click here and we'll schedule you a live demo! There's a great buzzword out there in estate planning called planning for “blended families.” The term “blended families” represents individuals who are married but have previous marriages or relationships that resulted in children. One example would be a second marriage in which the husband and wife have children from a previous marriage, or one does and one doesn't. The question becomes, how do you plan for these individuals so they can provide for each other but still be confident that in the end, their children or beneficiaries will get what's legally entitled to them? The challenge with blended family planning is that the spouses “trust each other” to carry out their wishes. The problem is, life doesn't often work out that way. After the death of one of the clients, the relationship between the surviving spouse and the deceased spouse's family tends to become more remote and diminished. As a result, over time the surviving spouse may forget or no longer wish to follow the planning as originally intended, or may no longer deem it relevant based on the new circumstances. More importantly, even if the surviving spouse did wish to follow the original plan, circumstances may occur that put the assets in danger. The surviving spouse might need a nursing home, or might face a lawsuit, or might remarry to another individual who could gain power of attorney and modify the planning after the incapacity of the original surviving spouse. There are so many complications in blended families, but there doesn't have to be. The Lawyers with Purpose Client-Centered Software (LWP-CCS) system is designed to plan for each client’s individual needs and goals, including blended families. The LWP-CCS has extensive provisions that allow designation of particular assets, allocated and separated at the death of the first spouse for the benefit of the surviving spouse under the terms and conditions that the clients agree to. This permits the surviving spouse to continue to benefit from the deceased spouse’s assets until the conditions are met for the next stage of the planning to occur. For example, in many of our trusts, clients elect to have a trust for the surviving spouse terminate upon the spouse's remarriage or another terminating event as identified by the couple. Although this seems complicated, it's actually easy when you ask your clients. They are pretty clear on what they want. They're just looking for some guidance on how to accomplish it. Perhaps the greatest final significance of using the LWP planning solutions for blended families is to protect the deceased grantors' assets from the surviving spouse’s unintended or unforeseen creditors and predators. This by far has had the greatest impact for my personal clients over the last 25 years of my planning for them. Unfortunately, too many lawyers today use the standard boilerplate trust, and most trust systems in the industry do not permit attorneys to do any extensive planning once prepared for blended families without expensive post-merge modifications. That's why Lawyers with Purpose is different. Because we focus on purpose first, the software has been designed to always consider the client's needs, goals and wishes first, then the software puts in the appropriate legal language to accomplish those objectives. Although it sounds counterintuitive, it's actually easy, fun and valuable to the client. I actually have clients laughing as we design their plans; do you? If you want to learn more about how Lawyers with Purpose can help you plan for blended families in ways you never knew existed.. consider joining us for THE estate planning event not to be missed! Member click to register here. Non-members click to register here. Well, here we go again. On July 12, a New Hampshire Trial Court ruled that an irrevocable trust was an available resource. Or did it? A careful examination of the Braiterman case really comes down to three issues. The first was an imaginary stretching of the "any circumstances" provision in Medicaid law. The second was an imaginary stretching of "trustee's powers," and the third, superfluous language added by the attorney that had no legal relevance to the trust document. I believe, however, that the superfluous language had the greatest impact on this court to find a way to make the trust assets available. The good news is that this case is neither precedent setting not universally applied. Let us take a look at the faulty (weak) holding. The crux of the court’s argument is that, under 42USC1396P(d)(3)(B), "if there are any circumstances under which proceeds from a trust could be made to or for the benefit of the applicant, then the irrevocable trust is deemed available for purposes of determining eligibility for Medicaid." Interestingly, it was clear under the trust terms that there were not any circumstances under which the payment from the trust could be made available to the beneficiary applicant. In fact, the court highlighted that the language specifically said that the trustees cannot make any distributions of income or principal to the grantor. The court, however, focused on superfluous language in the trust stating that, if at any time during the lifetime of the grantor, the grantor could lose eligibility for benefit because of the existence of this trust, then it was the grantor's “request” that the trustee consider bringing action to terminate the trust and to distribute the trusts corpus to the beneficiaries (again, NOT the grantor). Continuing, the trust stated that the grantor “hoped” that the people who received the trust corpus would use it for her benefit. The superfluous language goes on explicitly to identify the grantor's disability, or need for income. The imaginary stretch by the court here is that, although the attorney added this language that the court hangs on, in fact, there's no legal authority to enforce it. Under most states’ laws, termination of an irrevocable trust requires the consent of not only the trustee, but also of the grantor and the residuary beneficiaries; state law determines whether an irrevocable trust can be terminated, not a trustee. The only authority granted to the trustee in this trust was to bring an action to terminate the trust and distribute it to the beneficiaries. So there's a double faux pas here; first, there is a presumption that the trustee has the unilateral authority to terminate the trust. Second, there is an enormous leap by the court in deciding that, because the grantor added the language “hoping” for the beneficiaries to use the proceeds for her, that there in fact actually is a legal obligation or even a legal authority to consider it required, so as to make the assets declared available to the grantor. The mistake by the court here is that any access to the trust income or principal is NOT contained within the four corners of the trust, but rather is a stretch to what a beneficiary will choose to do with trust assets after receiving them (which, by the way, is no longer a trust asset!). The court notes that in her capacity as trustee, the grantor had authority without limitation to "terminate the trust by distributing the principle and accumulating income of the trust fund if in her judgement she might lose eligibility to substantial cash benefits or medical or other services. Again, the court stretches and fills in this imaginary chasm with rationale that indicates that there's actually legal authority for the trustee to do this. In fact, the court alludes that the grantor not being named a trust beneficiary is not dispositive, and held that because there is "any circumstance" that would permit the grantor to get the proceeds, then it was countable. In this fact pattern, the court argued that, since it could be distributed to the children and there was no prohibition on the children to distribute it back to the grantor, the court could infer that there is a circumstance in which the grantor could benefit. This is troubling, as there is no basis, no background and legal support of language anywhere to support this other than the court's opinion. So what does this case tell us? First and foremost, it affirms what we already know: that a lot of courts do not like Medicaid planning. And that's OK. Second, it tells us attorneys that adding superfluous language that does not relate to the legal provisions of the trust has absolutely no legal impact on the trust terms, but in every contrary case decided up to this point, including Braiterman, it is proven to be the words hung on by the court to disallow planning for people who engage in Medicaid planning. I have been a longtime advocate of Medicaid planning, but more importantly, proper Medicaid planning. When following the rules, individuals who give away their assets are subject to the lookback period and potential imposition of ineligibility based on any uncompensated transfers. The law anticipates this, provides for it, and has clearly stated it. The challenge here is when courts usurp the law and assume information that is not legal or based on legal principles. I fully expect this case to be overturned on appeal, but nonetheless in a state like New Hampshire, a more liberal state, anything is possible. The good news is the Lawyers with Purpose Client Centered Software (LWP-CCS) system has specific language that would nullify the court's holding in this case. In addition, Lawyers with Purpose attorneys are trained never to add superfluous language that does not relate to the legal terms of the trust. It is when lawyers forget that trusts are legal documents and entities, much like an LLC, that we get cases such as Braiterman. For example, in an LLC operating agreement, would you allow the owners to have rights to pay their medical expenses if they went into a nursing home? Obviously it's silly, but a trust is no different; it's a separate legal entity and should be respected as such. Attorneys must ensure that all of the provisions and terms relate to authority of the trustee to administer the trust and make distributions to the intended beneficiaries, and should in no way ever suggest or provide that trust principal be available or used for the grantor if it is an irrevocable trust intending to exclude its assets from consideration for Medicaid eligibility. Interestingly, on the same day this case was released, I was notified once again by an LWP member in Florida that the Florida Department of Medicaid upheld a Lawyers with Purpose trust that provided that the grantor was trustee and that all assets in the trust were deemed unavailable. So before we jump off any bridges based on the Braiterman case and give up our Medicaid practices, understand your jurisdictions, understand your job as the attorney and, as we focus on at Lawyers with Purpose, always be an advocate for your client using the law, and keep your superfluous language out of it. Registration for THE estate and elder law event not to be missed is open! Grab your seat today before early bird pricing ends on September 5th. Click here to register now.